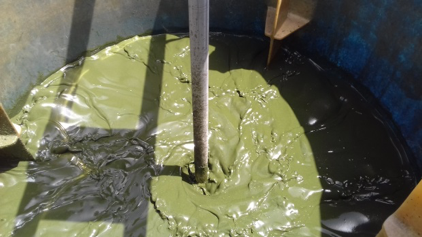 Demo 2 implementation works in El Toyo WWTP have been concluded and the production of a microalgae-based biofertilizer from urban wastewater starts in the frame of LIFE Biosolware project. Biofertilizer production from wastewater will be soon achieved in the frame of LIFE Biosolware project. 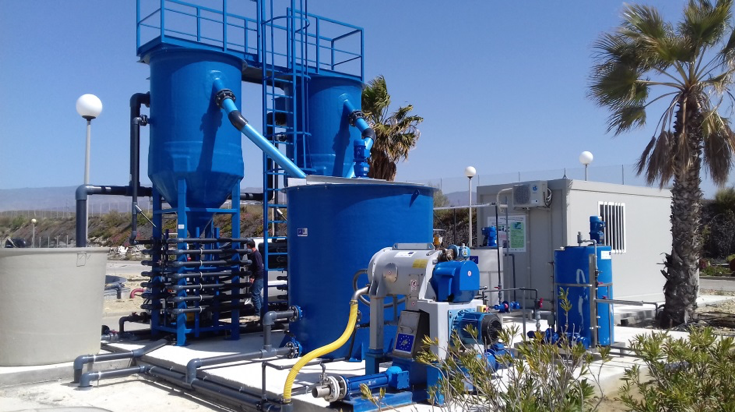 Demo 2 plant has been constructed in El Toyo WWTP (Almería), a municipality where FCC aqualia is managing drinkable water and wastewater services for 25 years. The start-up of this facility has been successfully achieved at the beginning of the summer 2018 and Demo 2 plant is now in full operation and completely automatized to produce more than 100 kg per day of organic fertilizer (dry basis). The process starts with the cultivation of microalgae in a 3000 m2 “raceway” reactor (financed under H2020 INCOVER project), where the nutrients and organic matter for their growth will be provided by urban wastewater. This way, wastewater treatment will be efficiently achieved without the need of external oxygen addition (and consequent low electricity consumption). 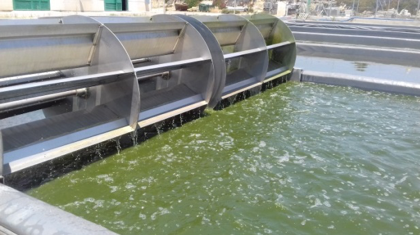 Microalgae biomass will be then separated from clarified water in two flotation units to obtain a thick biomass which will be next dehydrated by centrifugation in order to reach at least 10% dryness and produce a high quality biofertilizer. On the other hand, clarified water from the flotation units could be reused for irrigation purposes. Demo 2 results obtained in Almería will be very close to full-scale operation conditions and will be very useful to assess the feasibility of biofertilizer production from wastewater in small communities in order to minimize waste production and at the same time to promote water reuse in areas where water scarcity is a real problem. Moreover, in the frame of Biosolware project, Demo 2 and Demo 1 will be compared in order to assess the advantages and drawbacks of producing biofertilizer from microalgae biomass compared to the production of biogas by anaerobic digestion of the biomass, by LCA analysis of both scenarios.